If you need to know how to furnish a room with a sloped ceiling, you’ve come to the right place. 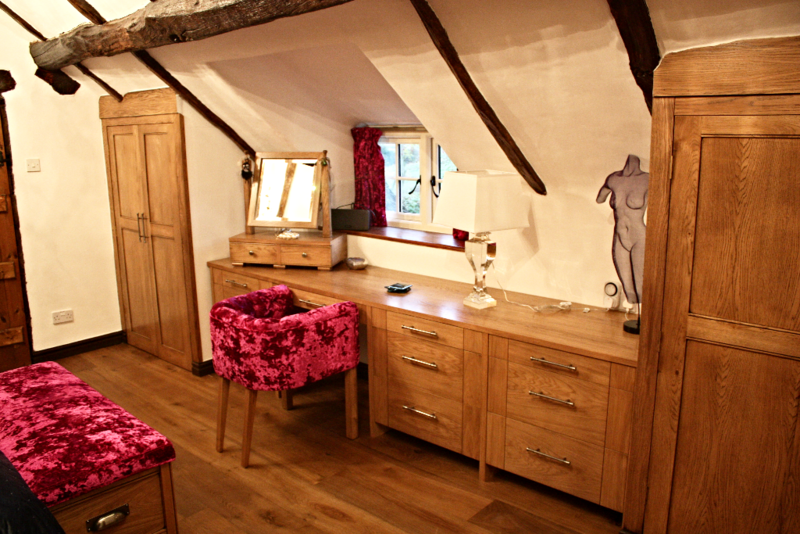 At Jacob Interiors we regularly work with clients who need bespoke furniture to fit all shapes and sizes of room – sloping ceilings included. The good news is, there are always options that will help to make the best use of the space available, so don’t feel like you have to try and fit boxy mass-produced furniture into a space where it just doesn’t fit. 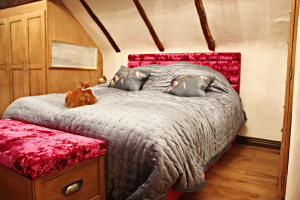 With bespoke furniture, you can work around the angle of the roof, to make sure your custom furniture makes the most of the part of the room where head clearance is good, but also does not waste the available space where the ceiling slopes a little lower. The area directly under the lowest part of the ceiling is often used for storage. You can either go floor to ceiling with bespoke storage units or opt for a low cabinet that the roof slopes down to meet. You’re not likely to walk or crawl into the very end of the room if the ceiling comes very low down, so built-in storage is an excellent way to make this space usable – it can also help to square off the usable space in the room so that the slope of the ceiling is less noticeable overall. 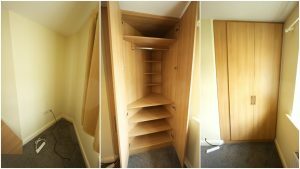 Custom storage for sloping rooms is a sensible investment as you are unlikely to find anything mass-produced that is a perfect fit, and it’s a shame to lose some of that space when it’s already at a premium. If you do want to keep the space accessible by humans rather than turning it into storage space, the obvious solution is to make sure you are laying down when you are in that part of the room. A statement chaise, comfy sofa or even the headboard end of the bed might fit, depending on how low the ceiling comes – and again, you could build out slightly with custom storage units first and then furnish with a crucial few extra inches of head height. Finally, whether you opt for a statement furniture piece or built-in bespoke wardrobes and storage, careful lighting can transform the look of the room and attract the eye away from the low ceiling. Keep the light at usable levels in the main part of the room, with softer lighting in dim but warm tones as the ceiling slopes away, and make sure there are no shadowy corners left – the space should be welcoming and comforting, and not restricted by its shape in the slightest.